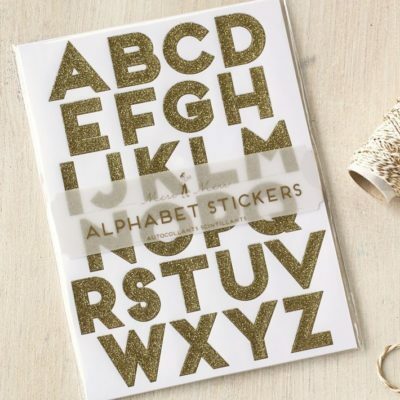 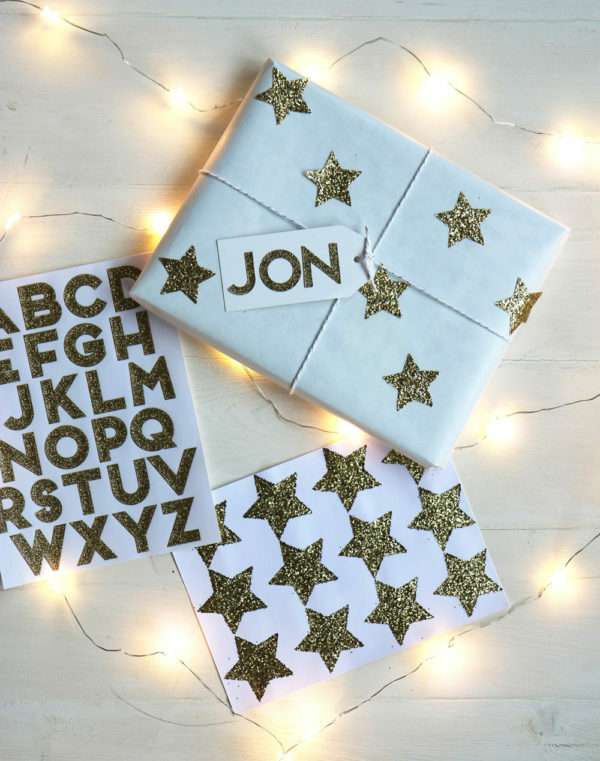 Alphabet glitter stickers in gold. 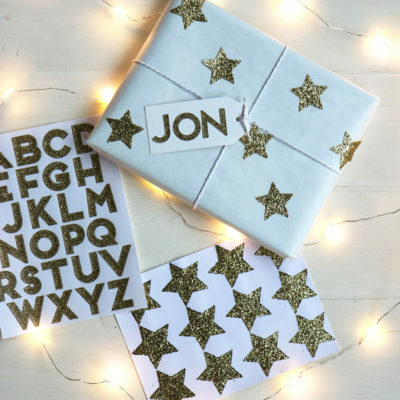 10 sheets per pack – 6 alphabet sheets & 4 vowel sheets. Each letter is approx. 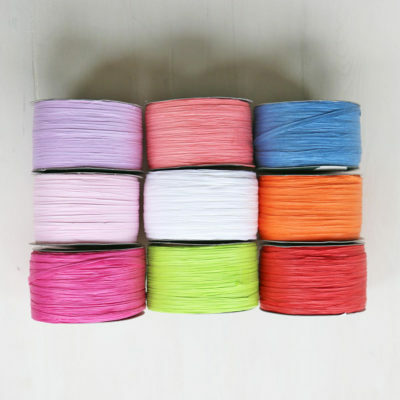 2.5cm high. 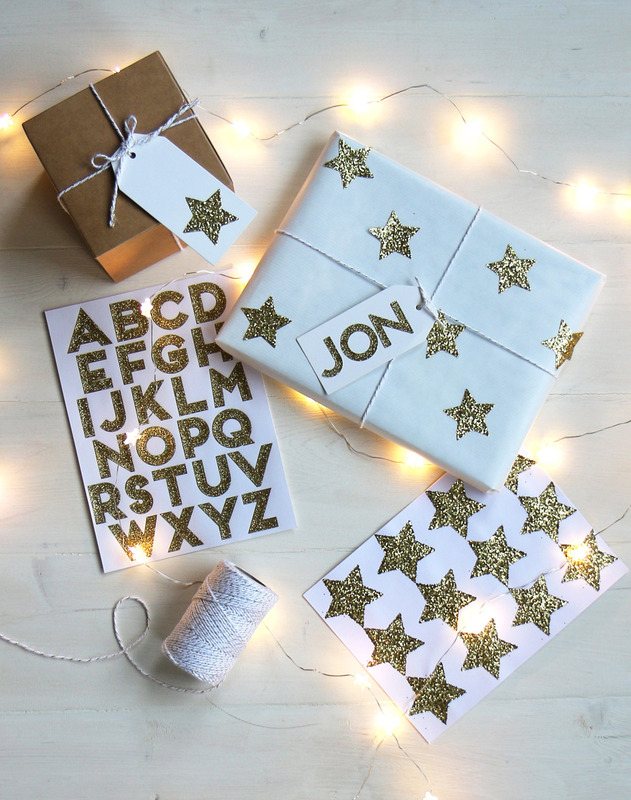 Perfect for DIY cards & stationery, decorating gifts & personalised messages. 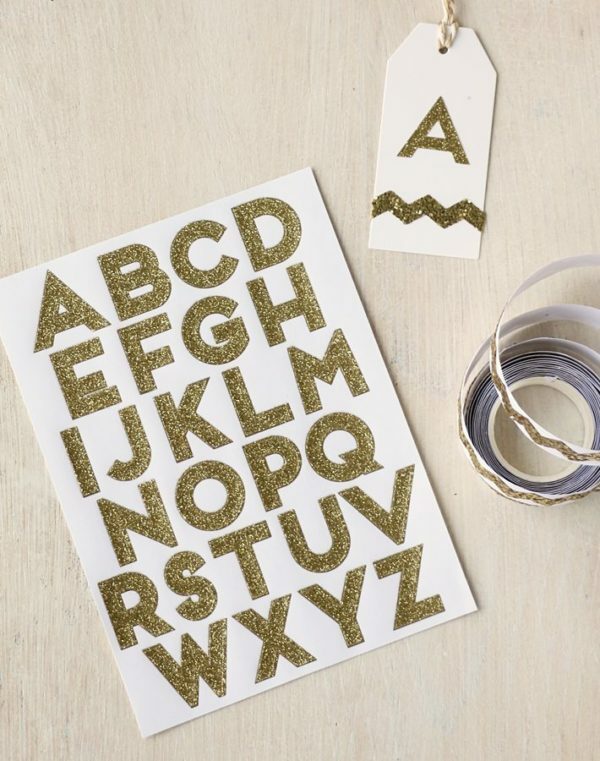 Alphabet gold glitter stickers. 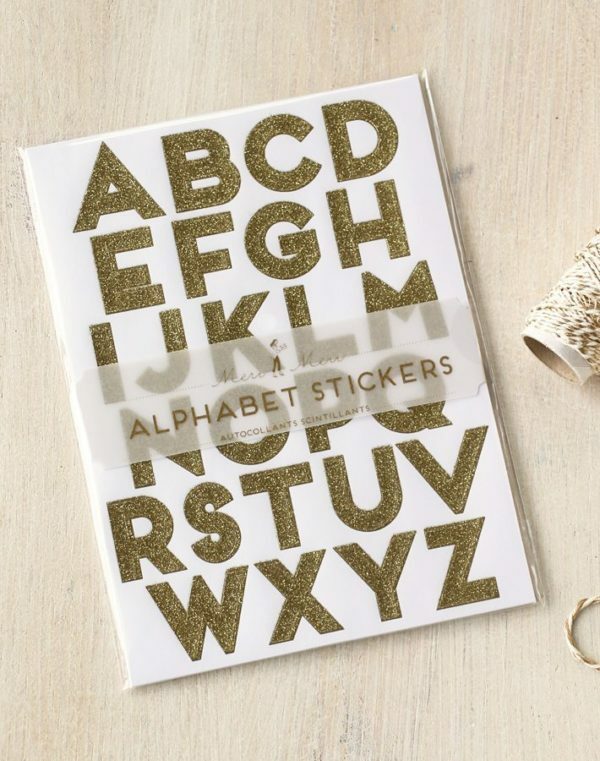 10 sheets per pack – 6 alphabet sheets & 4 vowel sheets. 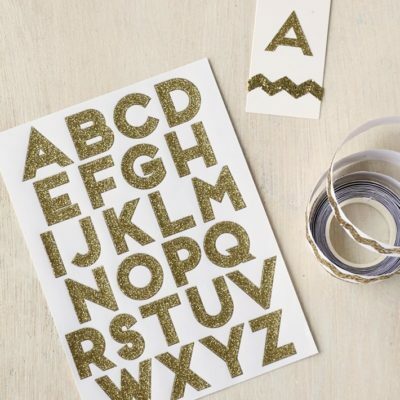 Each letter is approx. 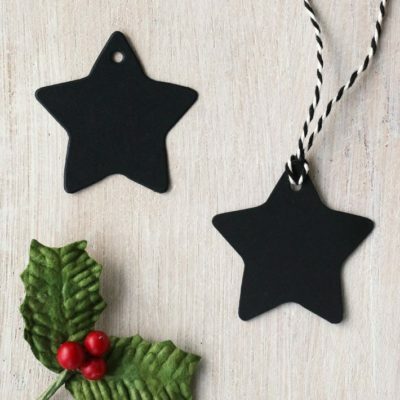 2.5cm high. 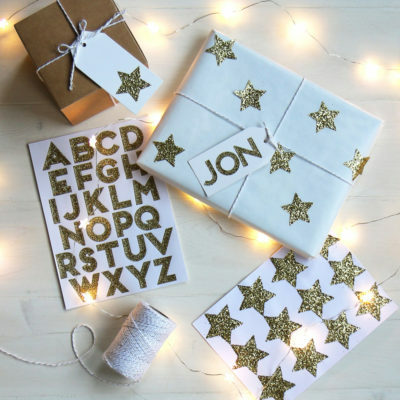 Perfect for DIY cards & stationery, decorating gifts, books, albums and scrapbooks & personalised messages. 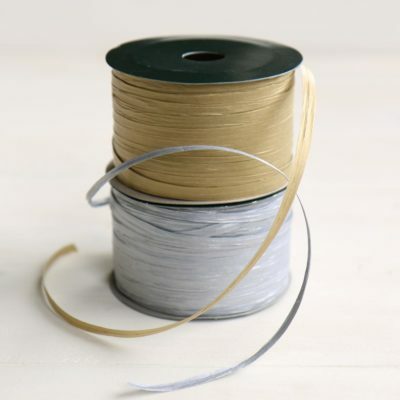 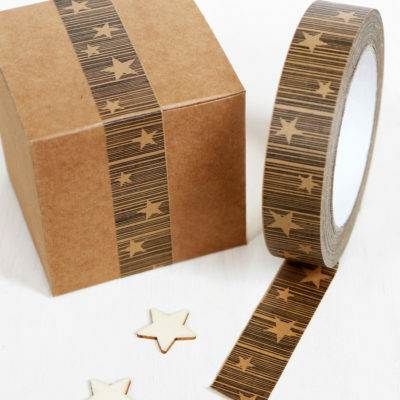 Please see Craft section to purchase tags, twine & glitter tape.